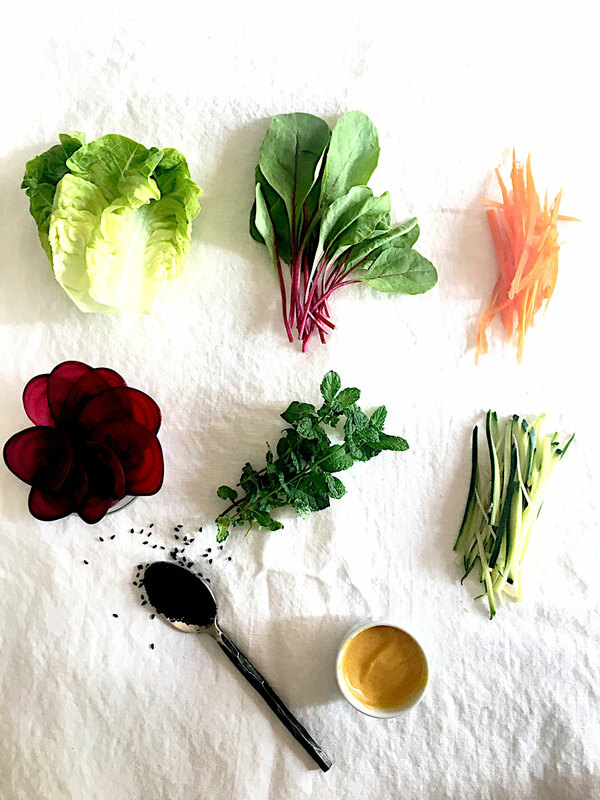 Vegan Earth Wraps with Tahini Turmeric Dressing – Food to meet you. 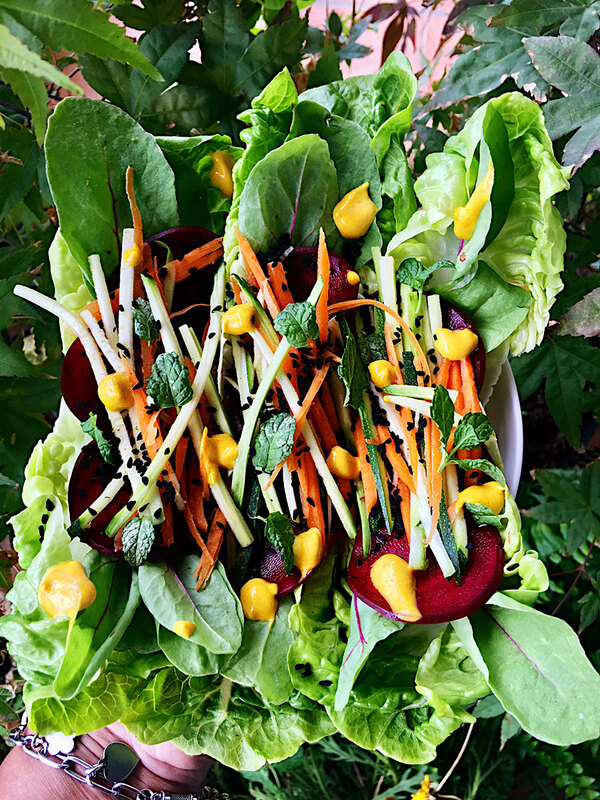 Vegan Earth Wraps with Tahini Turmeric Dressing. a few lambs lettuce or any tender green lettuce leaves. In a mixing bowl, combine chopped vegetables. Spoon a generous amount of mixture into lettuce leaves. Dot around the dressing or pour it all over! Yeah, it’s way too hot… we are all moody… so freshness, natural flavours is what we’re looking for… easy, bright… What’s fun about all this is that you can chop up whatever you have in the fridge… whatever you feel like to give you that crunchy, fresh kick… it’s supposed to be fun, so keep it simple for yourself, pack it in your lunchbox or picnic bag and GO!